To be honest, it was a long queue and we have waited for around 30 minutes to an hour to be seated . But no worries, there were lovely pink benches for you by the side, right near the entrance. While waiting, you can just selfie around. The building itself already so kitty-licious. 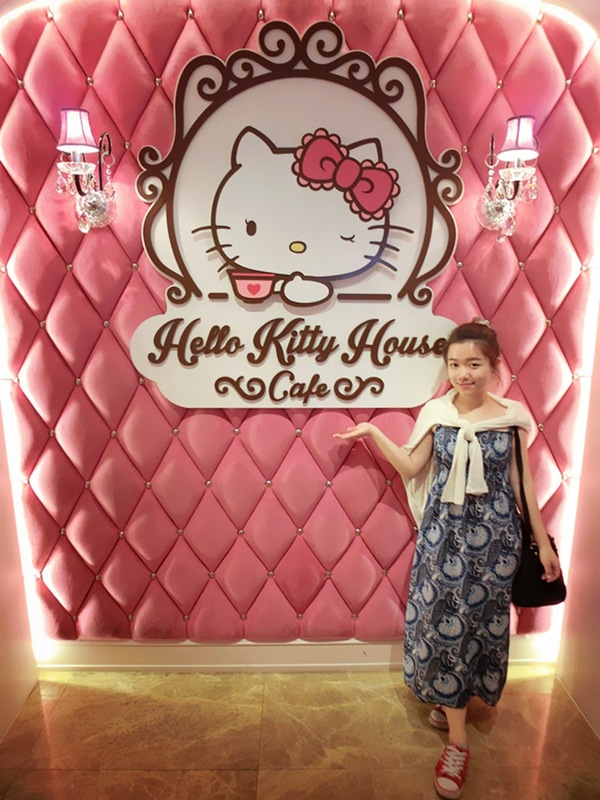 Welcome to the Hello Kitty House Cafe. 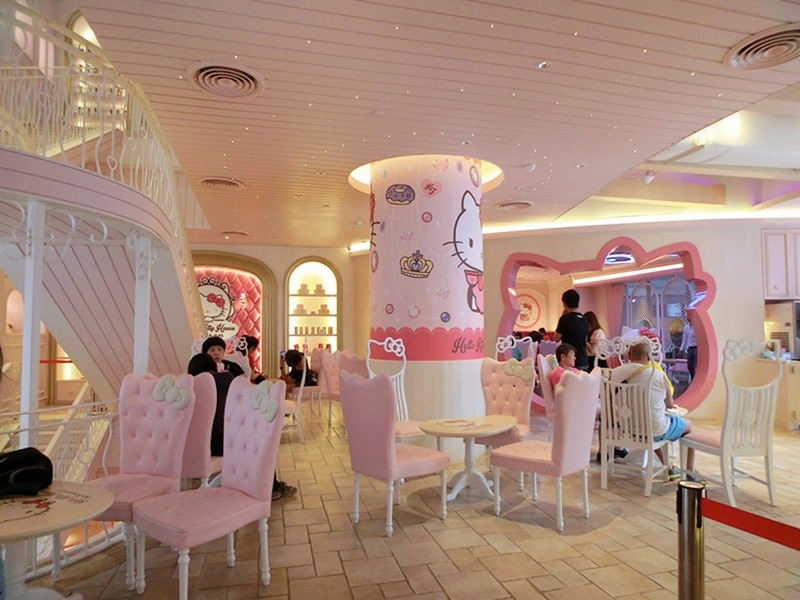 Well, all the interior was so sweet and pinkish, I felt that I have fallen into something like a wonderland or dreamland. 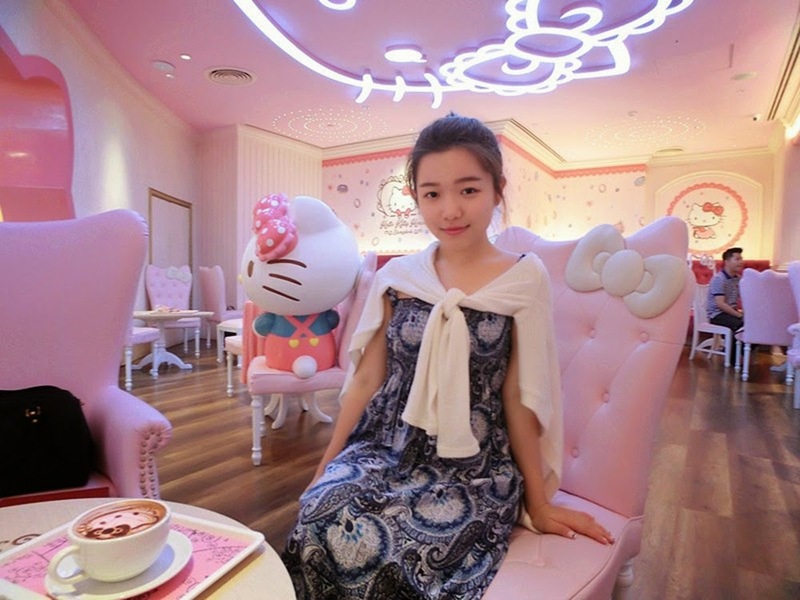 All the chairs are so adorable that designed with kitty bow and kitty logo. Everything was so dreamy. Sitting on the chair and definitely makes you feel like a princes LOL. 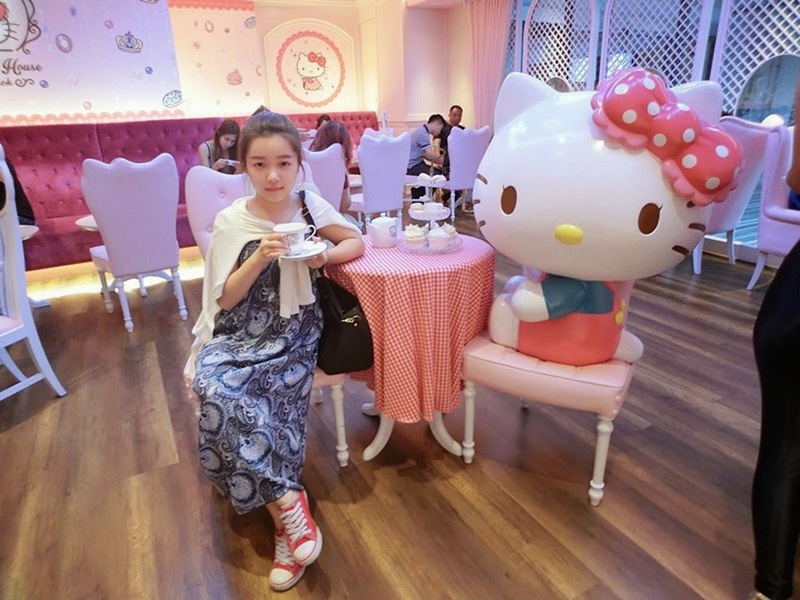 But I guess it may drives boys crazy, some of them found it embarrass sitting on it or even walking into this cafe. 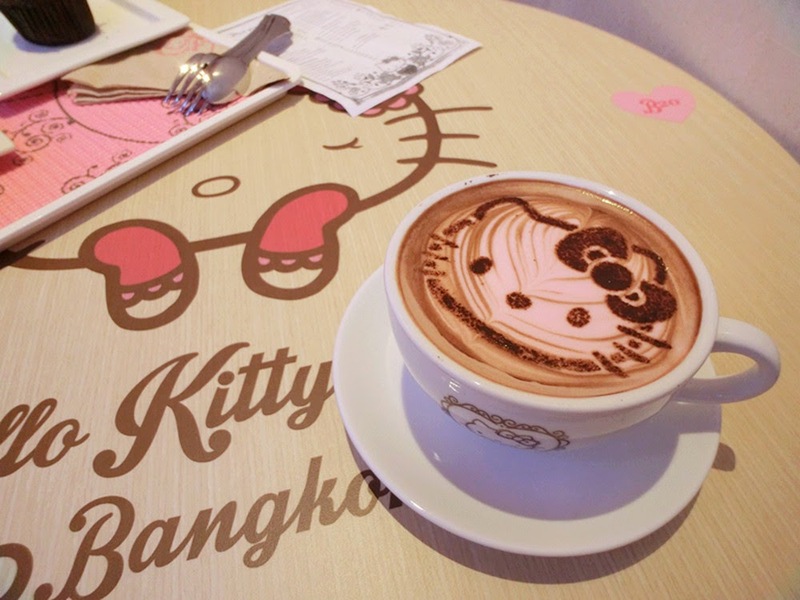 Okay, I have purposely ordered a hot chocolate because of the coffee art! If you get what I meant, for cold drinks, it will just appear to be having kitty design on the packaging itself but not on the drinks. 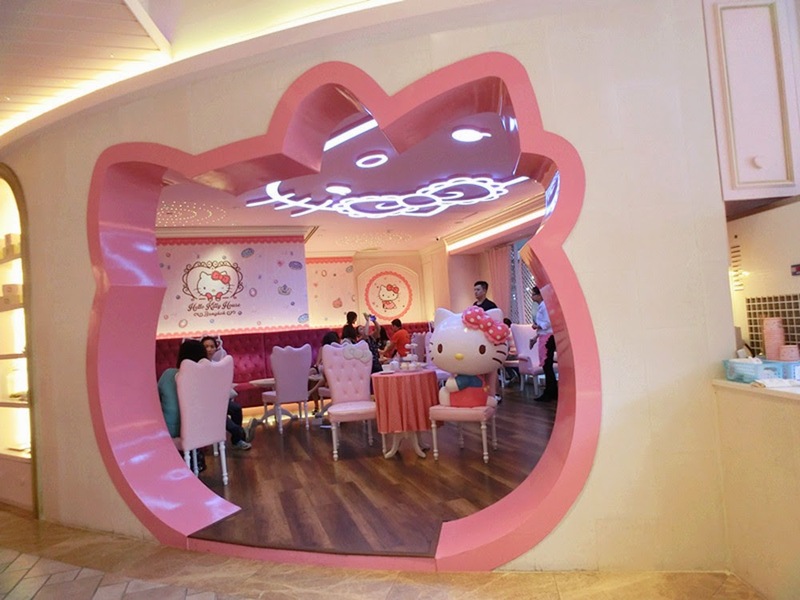 Maybe they should improve by having something like bubbly Hello kitty which floating on the drinks. It will be perfect. A hot chocolate priced at 130 baht. 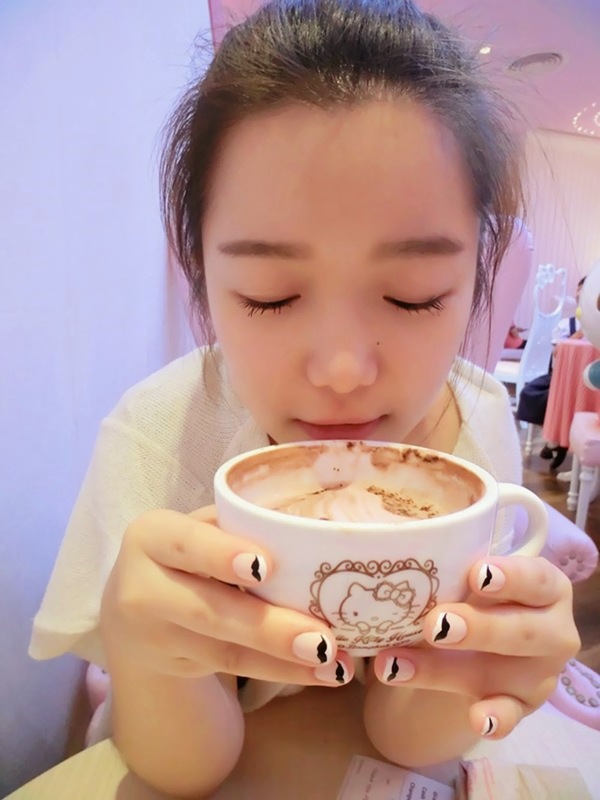 So, you should take at least 5 pictures =P The hot chocolate drinks tastes just fine, not too sweet nor too milky. But, it's way too adorable to even have a sip on it. Then, we have tried their strawberry pancake (Price: 205 baht) . 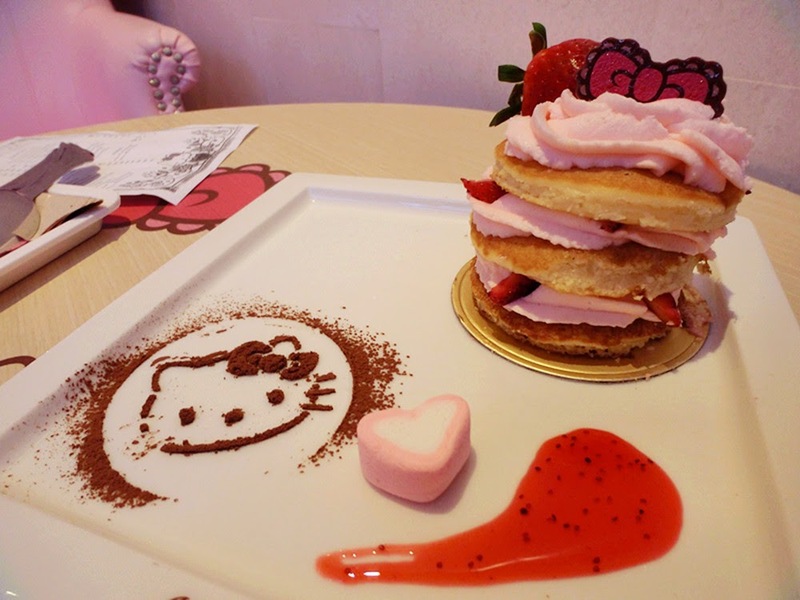 Each layers were covered by cream and strawberry pieces which originally carrying some sour taste. Both sweet and sour taste definitely excite our taste buds. The dishes also come with marshmallow and strawberry jam as part of the edible deco. 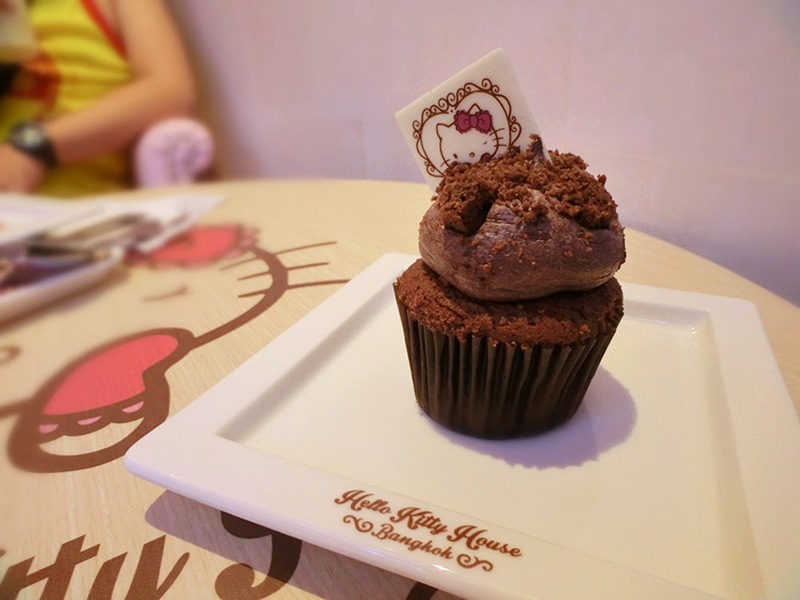 Lastly, we tried on the Double Chocolate Cupcake (Price: 95 baht). This is just so chocolicious and pretty sweet for me. The cream itself is already sweet and the cupcake. So, one word after having the full cupcake, super sweet. Personally, I feel greasy after having this and exhaust for water. 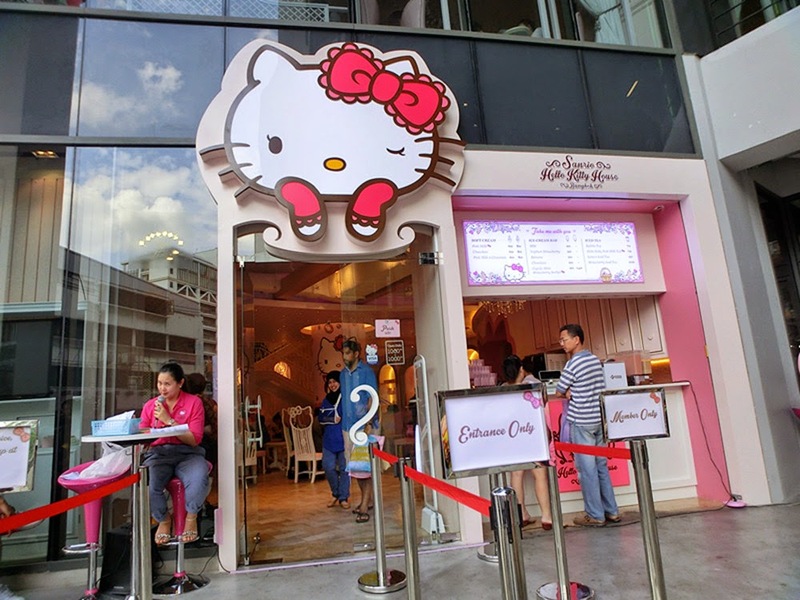 If you do have a chance having a short vacation at Bangkok, don't ever forget to pay a visit at Hello Kitty Cafe, absolute place for desserts for girls. Mix & Match with Le Bunny Bleu Fashion Sneakers!